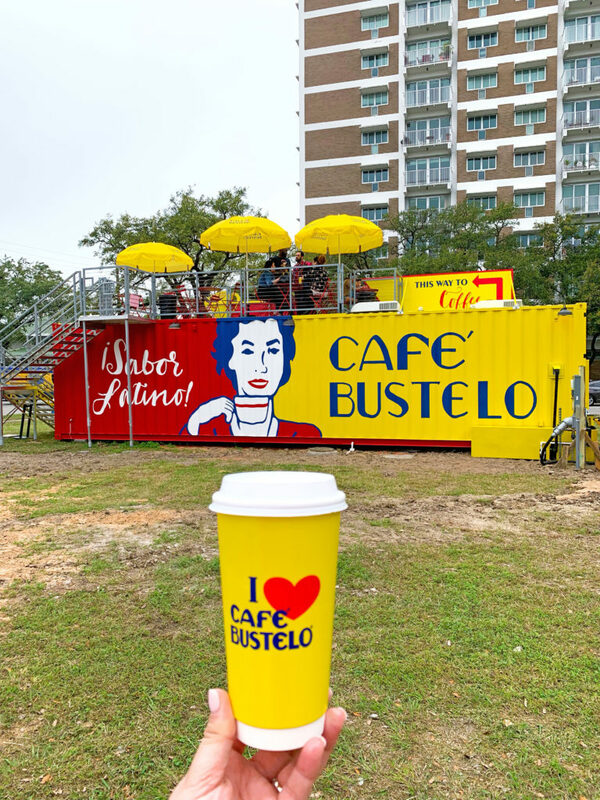 Café Bustelo has popped-up for the second time in Houston but this time they brought a shipping container with its signature hues and turned it into a coffee shop and set up in the vibrant Montrose District in Houston. 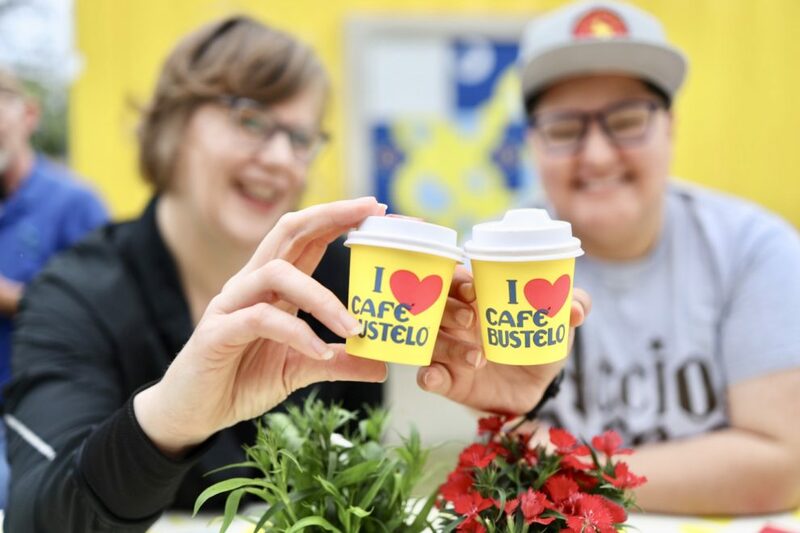 Their menu boasts of a wide variety of drinks including cortaditos, cafe con leche and iced coffee drinks as well as empanadas, pastelitos and tres leches. Many of you asked me and they do have soy milk as a milk alternative. 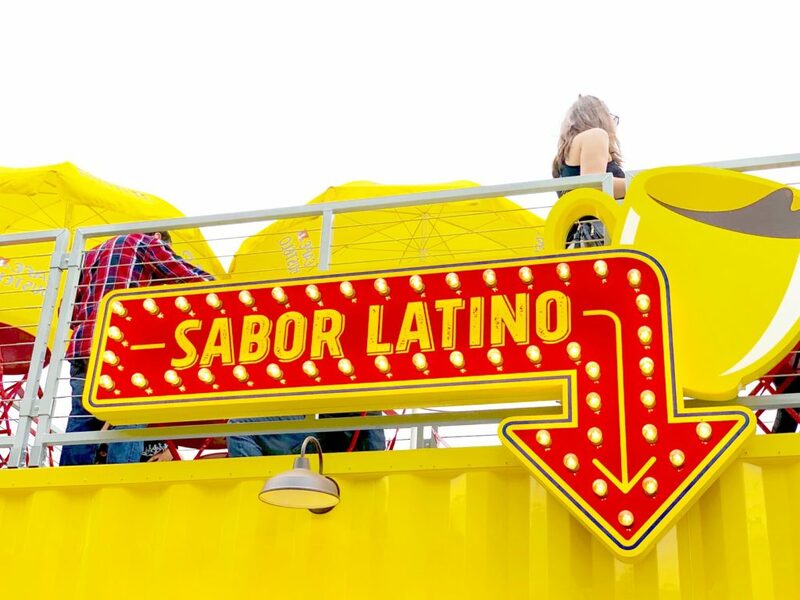 The shipping container impressively has a second floor and if you’re a fan of Ricardo Arjona and Ricardo Montaner prepare to be delightfully surprised by a variety of Latin tunes you don’t hear at any other coffee shop in Houston. 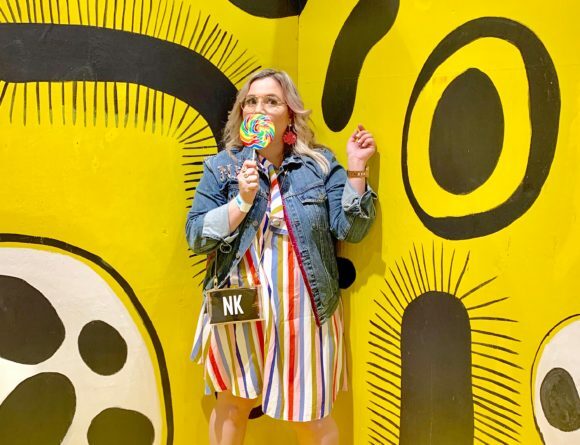 One of the biggest allures of the pop-up is it’s Instagrammable factor so prepare to pose or at least take someone’s photo or boomerang when you’re there. Oh yeah and the coffee was delicious! I tried the hot cafe con leche, the iced cafe con leche and the cortadito. Warning: this is strong coffee and not for the faint of heart. 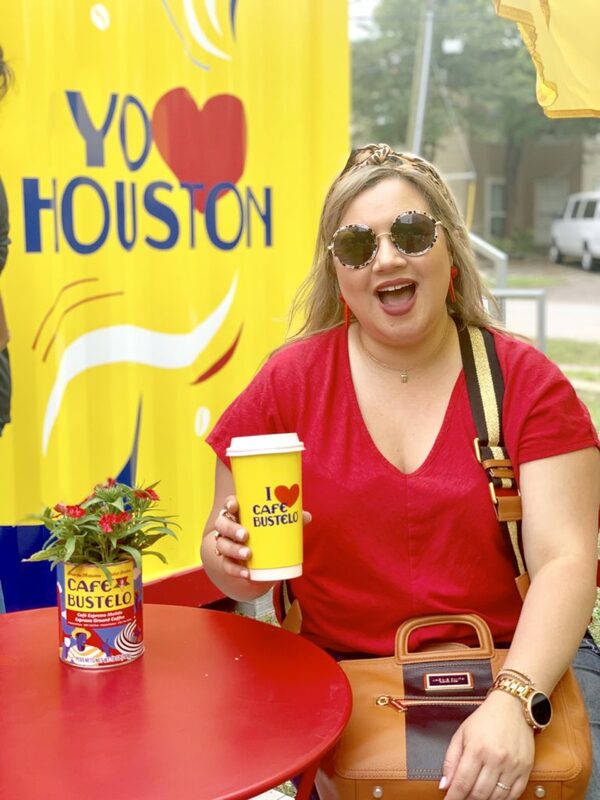 It tastes just like my vacations in Miami sipping on that Cuban cortadito I can’t get in Houston except for right now until May 25 when the pop-up packs up and leaves the city. 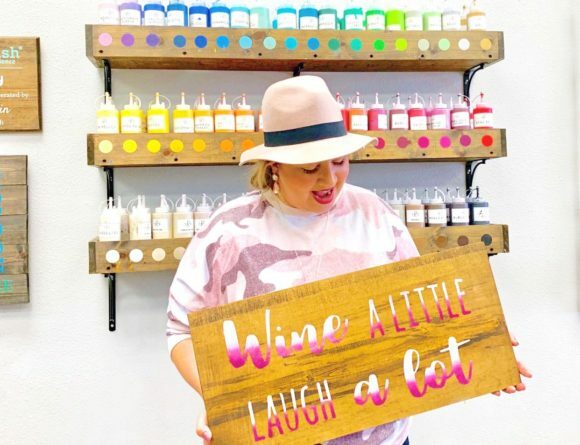 Get a BOGO coffee drink at checkout by saying the word BRUNCH at checkout! 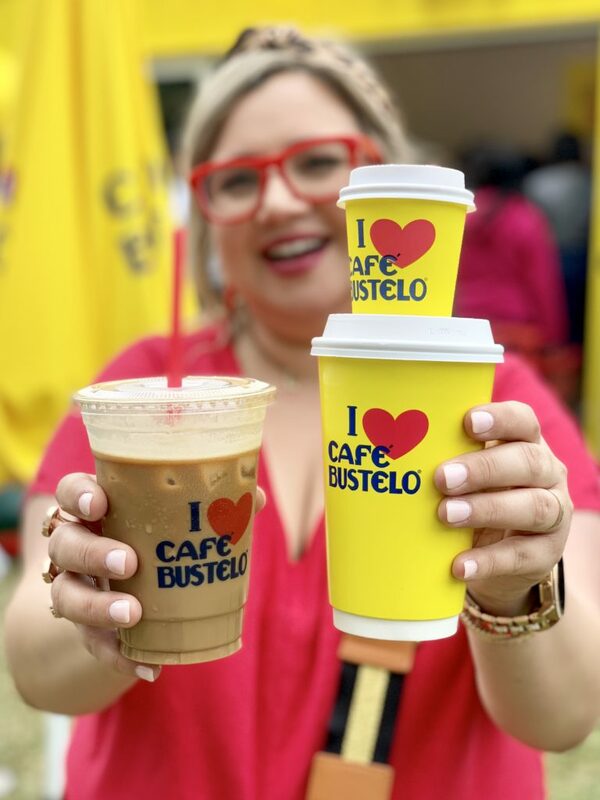 The Café Bustelo Pop-Up happened during Spring Break so there was a big crowd making line for their drinks. 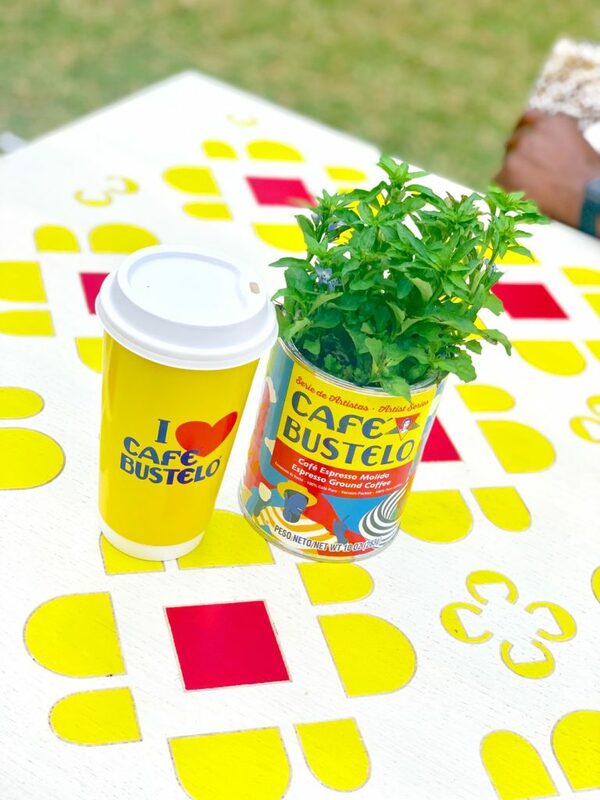 Which is your favorite Café Bustelo drink?